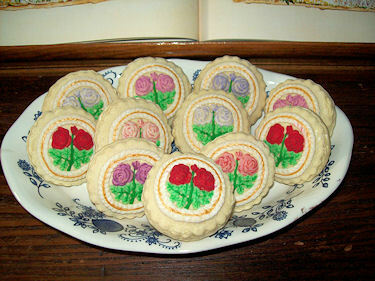 I would like to see pictures of your Springerle cookies and other creations. Please include your name for proper recognition and email them to me. This is Robin, I have purchased from you in the past. Thought I would pass along a pic of my springerle, hope you enjoy it. 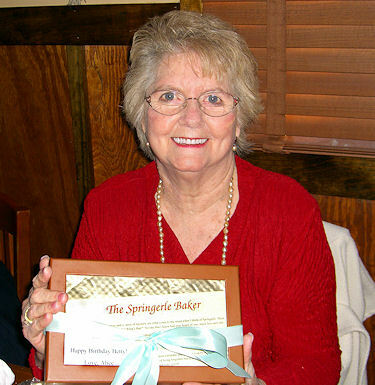 Thank you for posting the recipes, directions and hints for using Springerle molds! I was looking for just such information when I came across your web site and plan to keep checking back for updates. 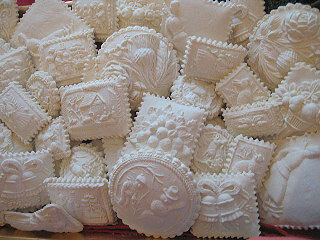 I am always searching for new ways to be creative with my numerous cookie molds. 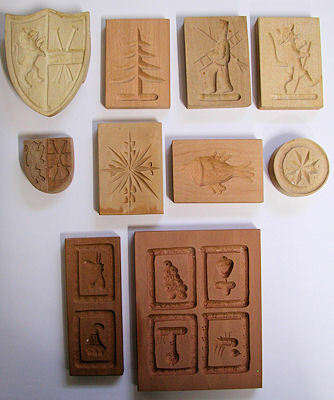 My mother is German and I have some excellent Speculaas molds from her family. I know these molds mostly through this way. I also love to bake especially eye-catching things and am planning to bake fancy cookies. 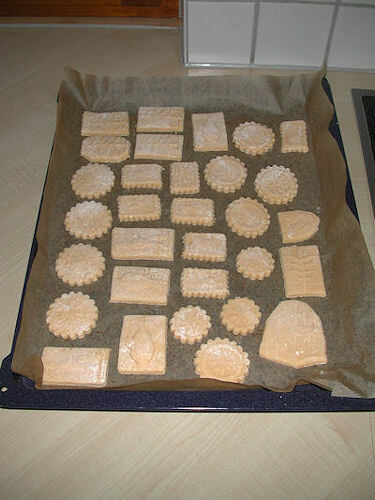 I've never made Springerle but I have made many other types of German cookies. Thanks for all your info. Your web page for the Springerle baker is very interesting. Bear w/tree, Advent Tree on Table w/lights, Angels, Roses (lightly painted with non-toxic chalks) and "Baby Bush." By far, my husband and I have gotten more laughs out of the Baby Bush Springerle--the little babies in the Lederhosen are hilarious! My friend from Berlin tasted them and told me they are perfect! Your recipe came out of the frig too hard to roll out. I wrapped your dough in parchment paper--so perhaps that is why it dried out. I will try it again sometime. 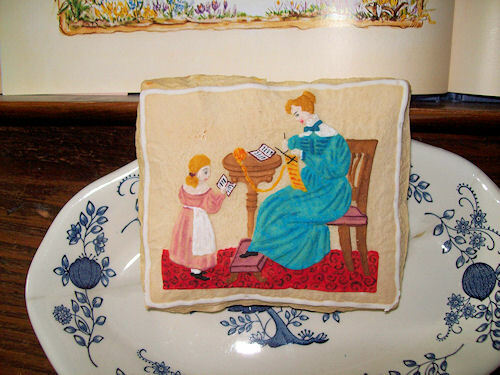 Thanks for the GREAT mold --I had so much fun making the cookies, it took me back to my childhood. The cookies arrived safe and sound today. They are absolutely	amazing!!! You are very, very talented. I really was blown away by the finished product. It almost tastes like there is a light coating of some sort of glaze or frosting on the outside. What is that sweet outer shell? The inside of the cookie has an amazing texture especially when contrasted to the outer shell. The mold pattern was fantastic. I will definitely use you again in the future. Truly outstanding. My father won't share! We all received the cookies in great shape. They are beautiful! I might add that I just got back from Garmisch (Germany) and asked every bakery there if they had Springerles. None of them did! They said they were too difficult to make. I am sure my dad will love the flavor of your cookies, but he will also deeply appreciate the beauty of them. They are so beautiful!!! I am so thrilled to be able to send him such a special gift. Thank you so much for the extra effort of the beautiful card to go with them. I will be sure to have him look at your site after he opens his gift. He will really enjoy reading all the information about you and the springerles. Thank you for shipping my order so quickly. It was unexpected since I ordered so close to Christmas. The speedy arrival was a nice surprise. 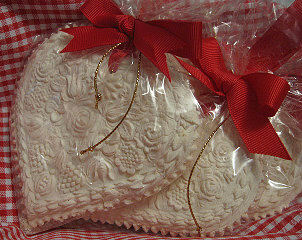 The cookies are delicious and arrived in perfect condition. The impression/designs on the cookies are perfect and quite intricate. I will highly recommend your cookies (really they are almost, but not quite too pretty to eat). I will order again soon. Easter is only a few months away. Thank you for your encouragement to try again to bake them, but I have a feeling that it is like making pie crusts. You really must make home-made pies more than twice a year and have more than 2/3 people to make it worthwhile. I wanted to let you know that I received the cookies on Friday (1/19). My friend and I went out on Saturday for the "birthday celebration" dinner. This is the first time ever in probably 20 years that I had managed to get the "Perfect Gift". He loved the cookies. They were both beautiful and delicious. We appreciated the samples...loved all flavors. Will be ordering more in the near future. Thanks again for your prompt and kind service. I LOVE THE COOKIES. THEY ARE THE BEST TASTING, MOST LUXURIOUS LICORICE COOKIES I HAVE EVER TASTED. THANK YOU!! I would have written sooner but my internet access was messed up. Thank you again. My sister and 2 nieces and I have thoroughly enjoyed them. The cookies arrived today and they are not only exquisite looking but delicious!! I am going to have to hide them from my husband so he doesn't eat too many before the event I am passing them out at. Thank you so much. Once again, you have given us exceptional service. Painted Springerle by Frau Weidinger. Springerle that truly are "Too pretty to eat". Thank you Frau Weidinger for making it possible for me to share your painted Springerle with everyone. I have visited your Springerle web site. I must print it immediately for my wife. You are real Springerle professional. If you wish I can send you pictures from our molds. 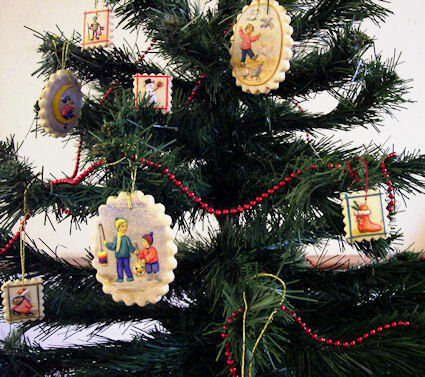 Some of them were made by my father, such as the city arm of our city Riedlingen in Wurtemberg. 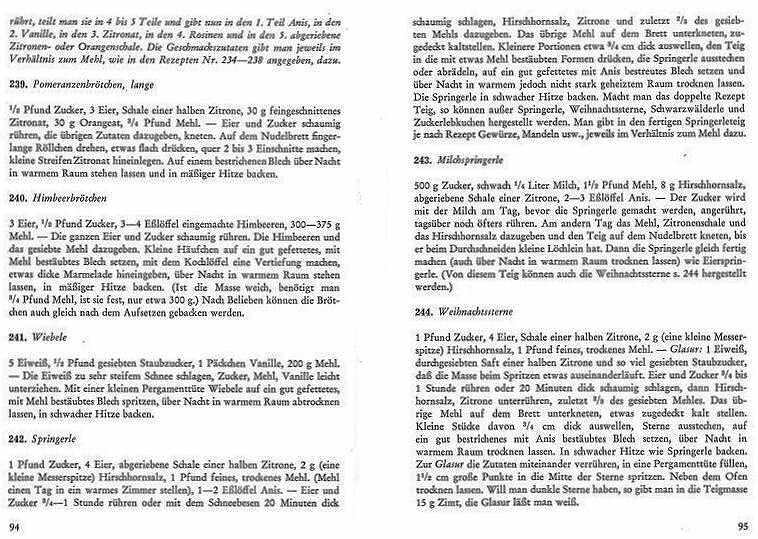 I also can mail you the recipe which my wife is using. The following are pictures of the Springerle which my wife made for last Christmas. Pictures from the Springerle which my wife bakes always for Christmas. Nothing special but all the Springerle lovers like them. "Back-Buch Marie Schwenzer – Martin – Kochlehrerin – Tuttlingen -"
The mold of the city seal (with the Lion) of Riedlingen/Wurtemberg was carved by my father. 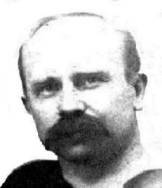 The Internet site for Riedlingen. This is where we live. Thank you Erhard and Ursel for sharing this with me and for allowing me to share your photos with the world. 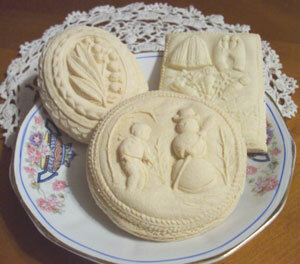 Your traditional Springerle and molds are a beautiful sight. 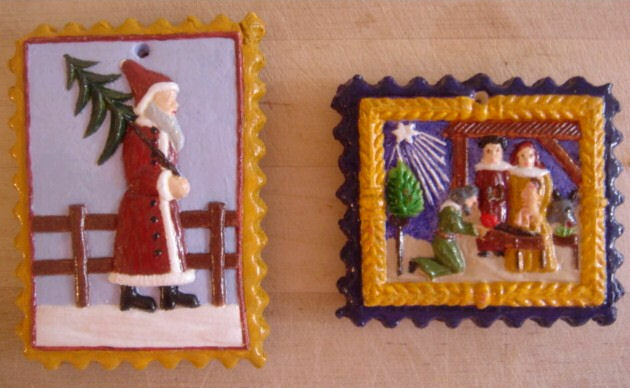 I was given two Springerle cookies last Christmas that I've painted and glazed. For the painting, I used water based craft paints. I first spray paint the whole cookie front and back with white, for a nice even base coat. Then I paint the colors using very fine paintbrushes. It helps to have one brush that is slightly curved at the tip, for getting into tiny curves and edges on the very fine details of the cookies. It takes me a long time to complete a project (about a week for those two cookies) because I tend to go over it many times making little corrections or changing the colors if I don't like what I've chosen the first time. Some colors require two to three coats to give a nice saturated look. I paint the sides and back a complementary color. After I'm all done with the painting I use a spray-on acrylic gloss sealer; I use a couple of coats at least, making sure to do the front, back and sides. Be sure to let dry well between coats. Thank you for visiting our web site and for the photo of your painted Springerle. They look great! The one with the Santa gives me the feeling of a crisp November day with its blue gray sky. I am the grandson of a German baker, trained in Winzerhausen who came to America about 1900 and had a bake shop in Phila., PA.
As I grew up cookies were: Pfeffernuss and Springerle and a treat was Stollen. I just thought everyone ate such. Then Grandpop retired in 1951 and my life changed. Then this year for my 79th. birthday my son found your bakery and gave me a bag of your springerles. Life has returned to normal and then some. Your cookies actually are better than memory says Grandpop's were. I do not see any seeds in them but the smell and taste are outstanding and your designs are a work of art. Much better than anything produced from a rolling-pin. I now have all three of my childhood treats and life is good. (My son makes a great stollen,) Keep up the good work. From your picture I believe you are young enough to be around long after I am gone, so I have hopes of being able to order springerle from time to time for quite a while. I do not want to overdo it by constantly having some on hand, as such a treat needs to be something had once in a while to be fully appreciated. Thank you for producing a wonderful cookie. 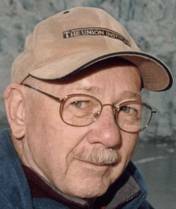 Nelson A L Weller, Ph.D. Grandpop is about 35 in the picture, I am 75. I have worked at the Firestone Farm at Greenfield Village for many years, and one of the projects I loved the most was the Christmas baking. The Farm is set at 1885, and, being a German family, Springerle are baked every year. After many years of research and practice, I am producing these edible painted cookies. I have recently purchased several molds from Helmut, whom I found on your site, and he is excellent to work with. Thank you for providing his link. I am sending a few pics of my edible art. Thank you Donna for taking the time to write and for sharing your beautifully painted Springerle. I have come to believe that there is a joy in creating springerle that can not be denied......it is in my genes! 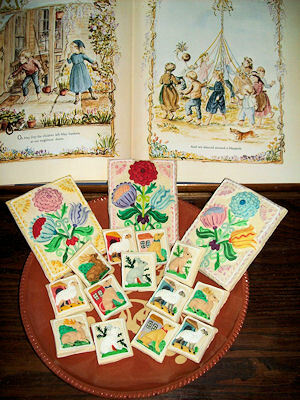 As a child, our family would receive Springerle from Germany. They would be among the goodies from the "mother land" that would be set aside and ultimately relegated to the bottom cupboard of the china cabinet..........too beautiful to be thrown away but inedible!........Experimenting with recipes, I soon learned what they meant. My cookies often seemed inedible also. My mom had many recipe for "soft cookies" and I have even considered a cookbook espousing the same! 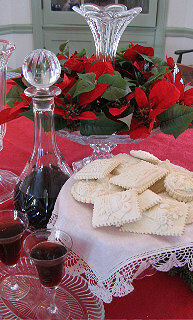 Like you, I have been experimenting with recipes hoping to find a "perfect" cookie. Sometimes my cookies are "horrid" and at other times, I am so pleased, I want to replicate the results over and over........unfortunately, that is not possible as the next batch is never the same! 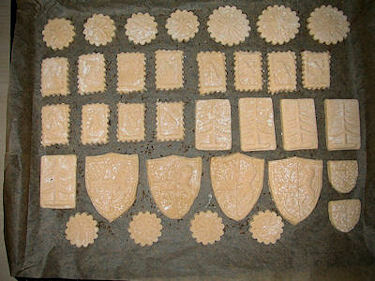 I have excellent results with "printing" my cookies.........still looking for the perfect recipe although my friends and family think that the cookies I make are fabulous. "What a great surprise it was to receive such a special treat on my birthday. I love them! They're just beautiful and taste wonderful".